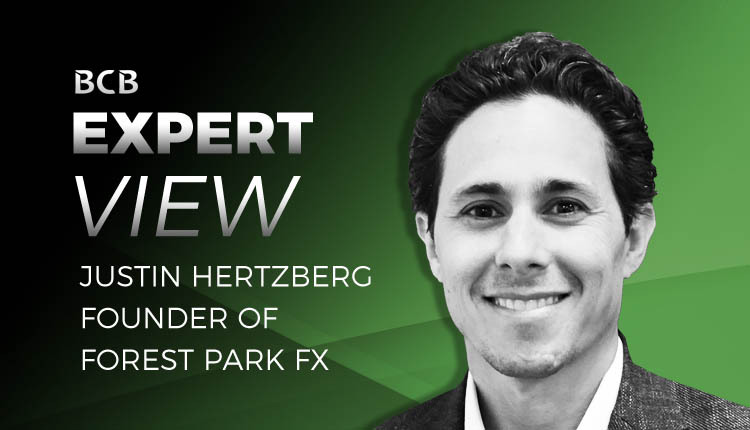 In this episode of Expert View, we have the absolute pleasure of speaking with Justin Hertzberg, who is the President & CEO of Forest Park FX, www.forestparkfx.com. If you don’t already know, Forest Park FX is one of the few premier Introducing Brokers for the Forex and CFD trading industry. Unlike a lot of other IBs on the books of brokers who just spam affiliate links in forums, Forest Park FX actually provides a service to traders. Justin and his highly experienced team, who formerly worked at brokers such as FXCM and ThinkMarkets, will consult traders on the brokers they represent. They represent just a few select brokers. The idea is that you will describe what criteria you need from the broker and the team at Forest Park FX will guide you or negotiate on your behalf. Not only will the team help you get started with a new broker, but they also secure cashback offers from those brokers. Let’s find out more from Justin. 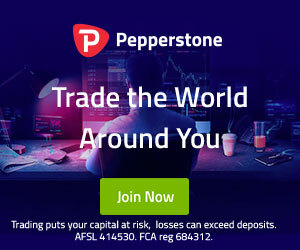 This is quite a niche business idea, especially considering the situation of the forex trading market in the United States. How did it all start? I initially started my career as a securities and commercial litigator. I like to joke that somewhere along the way I took a wrong turn and ended up in FX. But the truth is that I always felt more entrepreneurial than your average attorney. So in 2009, I left the traditional practice of law to trade for an FX prop firm led by a former FX fund manager who, at his peak, managed over $750 million dollars. It was my first exposure to trading and I became enamoured with the market and also the brokerage side of trading. From there I worked for a boutique broker-dealer specializing in order routing and execution for equity and equity options. In 2013, I really want to start my own firm and the asset class I enjoyed most and felt where I could make the most impact was FX. The vision I had then, exists today at Forest Park FX – that we would be a broker-agnostic introducing broker assisting clients in finding the right brokerage solution for their trading needs and reducing their costs of trading in the process through lower spreads, lower commissions or cash back rebates. How do you select the brokers you work with? At Forest Park FX, we are very selective in choosing our broker partners. We look for brokers that are typically well-established, heavily regulated, with strong executive teams and balance sheets and, most importantly, a reputation for treating clients and IBs fairly. With our business model, we’ve aligned our interests with our clients, so we want to make sure that the brokers with which we are aligned are, at all times, fair and equitable places to trade. Last year you hired a director of Technology Development. Are you ready to help traders build their forex robots for cTrader? Yes. One of the growth areas in the industry is the desire for trade automation. Adding experienced and qualified programmers to our team enables us to better serve our clients and meet algorithmic trading needs. And cTrader is one of the most popular platforms for traders seeking to automate their strategies. While you are registered with the NFA and FCA as an Introducing Broker, you represent traders and brokers around the world. What’s your biggest market? At present, the US is our biggest market, representing around 65% of our overall revenues. However, that hasn’t always been the case. In 2017, the US market only represented 35% of our overall revenues. The oscillation is really driven by our pipeline on big projects and initiatives. And sometimes things like regulatory uncertainty focus our attention on one area of the world until things settle down elsewhere. It was announced that you were the first Introducing Broker for the recently revived IG Markets broker in the United States. Why is this such big news? Are IBs in the US really that rare? It has been a really long time since we saw a new entrant in the US market. We gladly welcome new brokers, as it is important for clients to have options and for brokers to feel a need to be competitive with one another. IG is a large and respected player in the industry and presents as a real contender for US business. We are happy to work with them, as we do Oanda and Forex.com, to provide our clients with the most suitable brokerage solution for their particular trading needs. If you could change one thing about the Forex industry, what would that be? Generally speaking, I wish the barriers to entry were higher and the trade execution process more transparent. The opaqueness of the industry hide some bad practices and create a sense of mistrust in the industry. In my ideal world, the industry would operate with greater integrity and be populated by real financial services professionals. How can our readers contact you to learn more about the services Forest Park FX offers?